Available in a 2U or 3U rack-mounted chassis, serverBOXX provides the ultimate in manageability, redundancy, and stability. 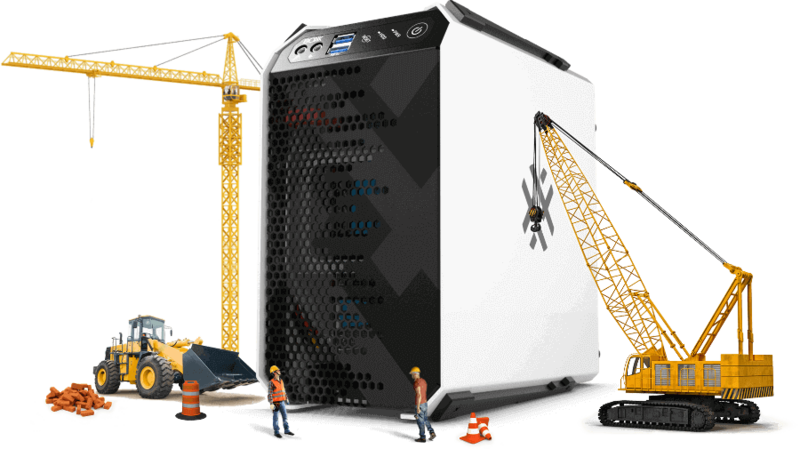 Configurable with high-bandwith storage options and remote management software, serverBOXX is an ideal turn-key server solution for small to midsized organizations. With twelve 2U or sixteen 3U drive bays, a single Intel® Xeon® processor (up to 22 cores), and 512GB of system memory, serverBOXX S9100 is available in a variety of configurations. We Know Your Software, Too! BOXX Performance Specialists not only know hardware inside and out, they also understand the challenges that come with the advanced software you use in your everyday workflow! Whether you use Autodesk Revit or 3ds Max for modeling, V-Ray or Iray for rendering, SOLIDWORKS for simulation, or any other advanced computing software, one of our experts can walk you through the entire process, answer questions about your specific workflow, and address all those pesky pain points that cost you time and money. Ask anyone — you won't find real software experts with helpful advice at Dell, HP, or Apple.